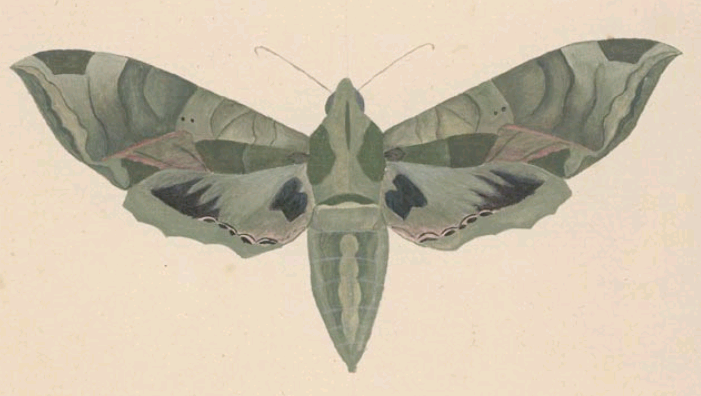 Watercolor Painting By John Abbot, c.1813. The Thomas Cooper Library of the University of South Carolina has digitized one of the earliest collections of original watercolor illustrations depicting the butterflies and moths of North America. The Abbot Watercolors Collection consists of 149 paintings of butterflies and moths, mounted and matted, and housed in six blue half morocco cases with gilt-lettered backs. 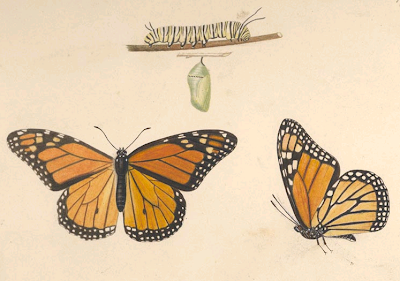 The paintings were created by pioneering artist and naturalist, John Abbot (1751-1840), between 1813 and 1828. The London-born Abbot was one of the earliest Europeans to record the natural history of North America. Abbot was the son of a noted British barrister, and was expected to follow in his father's footsteps by taking up the law. But, as a boy, he developed a fascination with the animal kingdom, and showed an extraordinary artistic talent. Recognizing that his son had no interest in becoming a lawyer, Abbot's father hired French painter and engraver Jacob Bonneau to teach the boy the fundamentals of book illustration. Abbot's interest in natural history led to friendships with noted London ornithologists and entomologists. He began to collect insect and bird specimens, and made a modest living by selling paintings of them on commission. By 1770 he had earned enough respect to have two of his illustrations of Lepidoptera accepted for display in the London Society of Artists yearly exhibition. 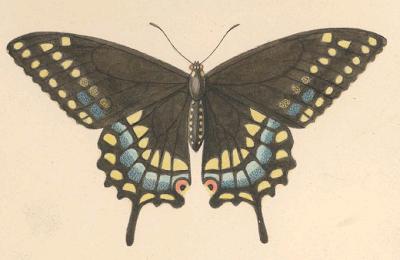 Around this same time, Abbot began to express an interest in traveling to North America to document the avian and butterfly species found in the New World. John Abbot was fortunate to find a wealthy and influential mentor in London jeweler Dru Drury (1725-1803), an avid insect fancier, who ultimately accumulated one of the most comprehensive private collections of entomological specimens in the world. Drury not only purchased specimens collected overseas, but also funded expeditions throughout the world, with the express purpose of finding new species for his collection. The publication of Mark Catesby's Natural History of Carolina, Florida and the Bahama Islands (1731-1743), the first printed account of the flora and fauna of North America, inspired Drury to send Abbot on a collecting trip to Virginia in 1773. Before leaving London, Abbot formed another business partnership with London jeweler John Francillon (1744-1816), who would act as his agent and sell his paintings to naturalists other than Drury. Arriving in Virginia in the Fall of 1773, Abbot soon found that the chaos of the Revolutionary War made pursuing his work impossible. He relocated to Georgia within two years, where he remained until his death in 1840. His production of illustrations in the New World was amazingly prolific. He created over two thousand paintings for Francillon alone, many of which are now housed in The Natural History Museum of London. 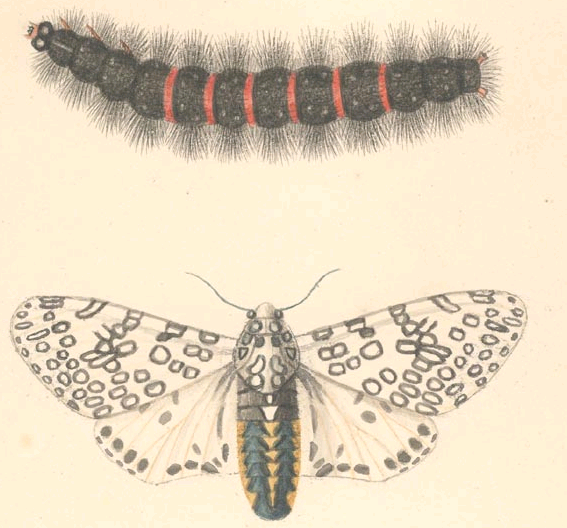 In 1797 Abbot’s drawings were published in The Natural History of the Rarer Lepidopterous Insects of Georgia by Sir James Edward Smith (1759-1828). 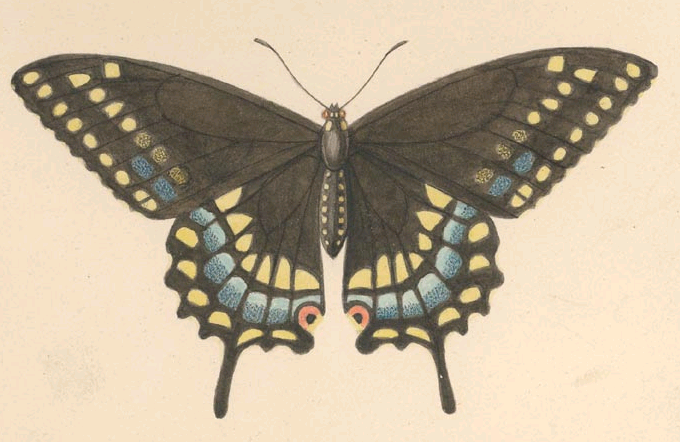 The two-volume work, one of the earliest butterfly guides to North America, included one hundred and four hand-colored engravings of Abbot’s paintings, along with Abbot’s notes and observations, written in both French and English. 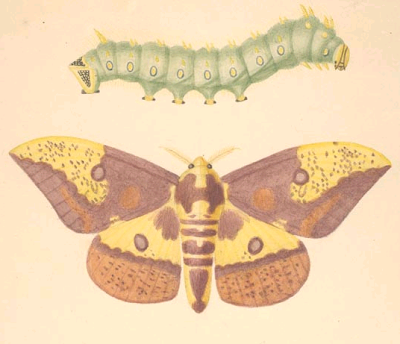 The paintings in the collection of the Thomas Cooper Library were commissioned by American naturalist John Eatton Le Conte in 1813. 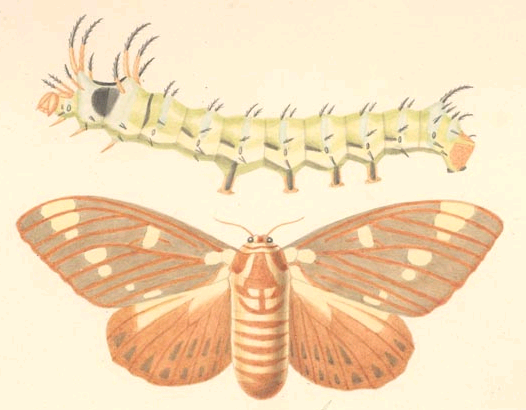 Le Conte took the completed illustrations to Paris in 1828, where he began work with Jean Alphonse Boisduval on Histoire générale et iconographie des lépidoptères et des chenilles de l'Amerique septentrionale. Le Conte and Boisduval used some of the Abbot watercolors for the 1833 edition of this work. 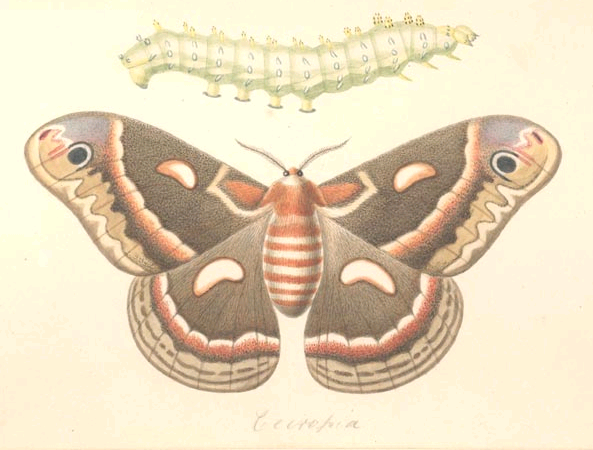 According to the Thomas Cooper Library website, "Boisduval apparently gave the drawings to French lepidopterist Louis M.A. Depuiset (.pdf), who in turn gave them to Charles M. Oberthür, a former student of Boisduval. Four years after the death of Oberthür in 1924, a rare book dealer named La Chavalier purchased Oberthür’s library. The drawings were owned privately for the next thirty-nine years, and the identity of the owner(s) is not known." In November of 1963, Sotheby’s and Company of London sold the watercolors, listed only as 'property of a lady,' to the rare book firm H.P. Kraus of New York City. The University of South Carolina purchased the illustrations from H.P. Kraus in 1964 for the Department of Rare Books and Special Collections.